This article is dedicated to our clients who want to start drop shipping in Nigeria! Typically, they have the same questions about this business, so I’ll try to cover all of them here. Lots of AliDropship clients are the residents of the Federal Republic of Nigeria. In this country, there are some regional factors that may influence the operation of a drop shipping store. Don’t worry, though – here’s everything you need to know about drop shipping in Nigeria! To illustrate my point, I will use the example of one of our clients, Olusola David – you can read his full interview here. Long story short, this guy participates in several affiliate programs, and runs his own drop shipping store. In total, these activities bring him more than $9,000 every month! And no, his Bachelor of Science degree in Political Science wasn’t the secret ingredient that destined his success. Actually, he admits that he had a zero experience when he started his ventures! 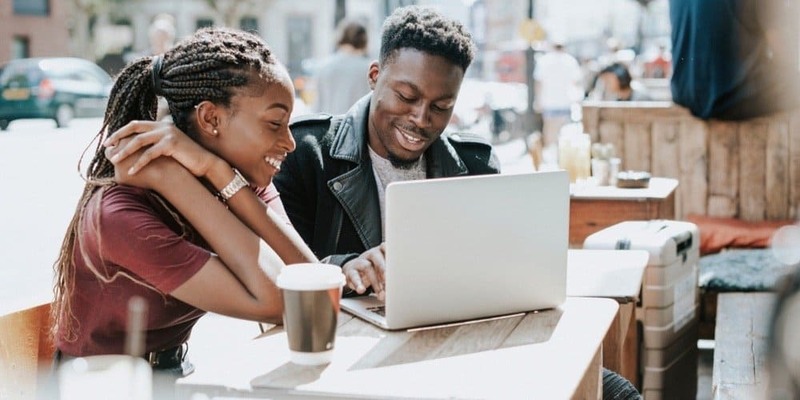 In his own drop shipping review, Olusola David, as the resident of Nigeria, explains the local legal aspects of this business. If you do drop shipping with AliExpress in Nigeria, you don’t need to pay any taxes as a business owner. If you target the local market, you don’t need to pay a tax duty when the packages arrive to Nigeria. It’s not strictly necessary to register your business officially. At the beginning of your business journey, you can work perfectly without any legal record. As your business grows and brings you more money, you might want to register it, but it’s up to you to decide. So, as you can see, if you live in Nigeria and import drop shipping products there, you don’t need to worry about taxes and legal papers. That’s a nice thing to know! In order to start drop shipping, you need to get a specific website. It should look like an online store filled with the images and descriptions of actually existing items (AliExpress is the perfect product database). Naturally, it should be a fully functional online store with all the necessary elements: proper product pages, shopping cart, payment system, etc. Get AliDropship plugin that can turn any WordPress website into a ready-to-go online store. If you already have the plugin, follow these instructions to build a drop shipping store with its help. 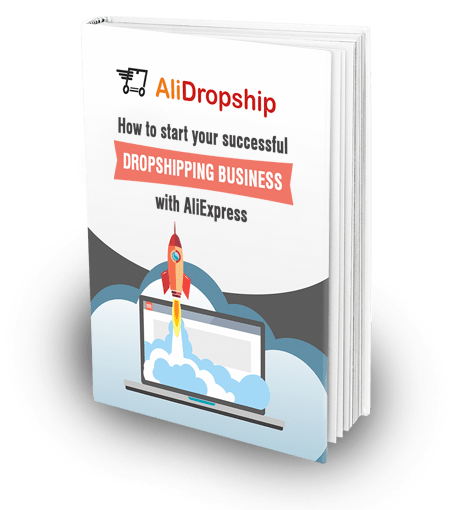 Order a ready-made custom store that is also based on AliDropship plugin, but already has all the products, settings, and other important elements. 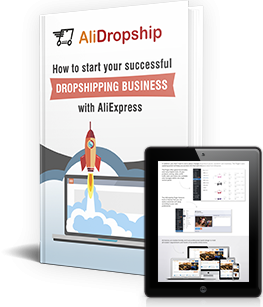 Read this article to learn more about this easy way to start a drop shipping business right away. These instructions apply not only to people in Nigeria, but to all the other entrepreneurs across the globe. It doesn’t matter where you live – you can run this business from any country in the world! As you probably know, AliExpress is not a ‘store’ itself. It is a platform where sellers demonstrate their products. All these suppliers have their own specific terms of sale and shipment – but, most typically, they can deliver their products to Nigeria. You can easily check it yourself! 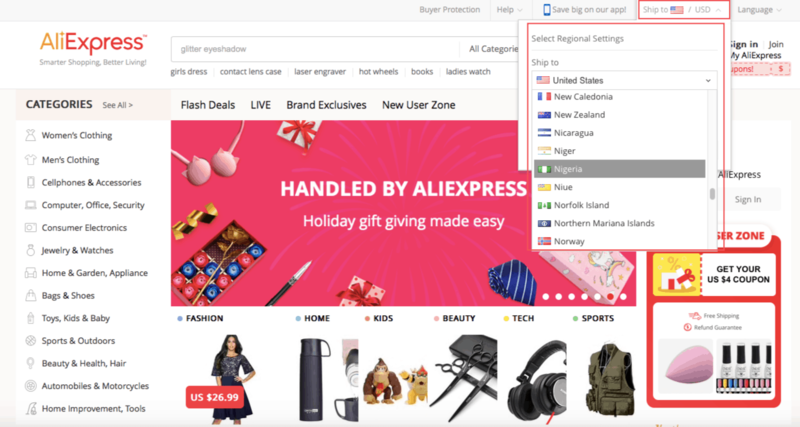 To do that, go on AliExpress and see whether it is displaying your country correctly. If it doesn’t, change the country manually. In the top right corner of the page, click on the ‘Ship to’ field, and choose Nigeria in the dropdown window. Now, you will be able to view more relevant information about purchasing and delivering items to Nigeria – I will explain it below! Let’s suppose you’ve picked Nigeria as your destination country, and your regional settings are correct. Now, you want to know how quick the delivery will be. Again, it all depends on the particular seller. So, to estimate the delivery time, simply go on the product page of an item you liked. Here, in the ‘Shipping’ line, you see the suggested shipping method (China Post Registered Air Mail), its estimated delivery time (23-42 days), and the shipping fee ($2.37). Quite often, AliExpress sellers support more than 1 postal service. To check them, click on the tiny arrow in the end of the ‘Shipping’ line, and choose the method that you like more. Here is a guide on AliExpress shipment methods if you need it! If you live in Nigeria, does it mean that you can only sell drop shipping products within your home country? You can work with any target audience in any point on the globe. Nothing can stop you from selling drop shipping products to people in Brazil, or in Poland, or in Spain, or anywhere else. Drop shipping has no geographic boundaries! As long as you know your target audience (what is the language they speak, which of their issues you can solve with your products, how much money they are ready to spend on these items, etc. ), you can freely target your marketing efforts at any customer segment. The financial aspect is the most important question for a drop shipping store owner, right? In the global eCommerce practice, online payments are typically done through PayPal. But, unfortunately, PayPal is not supported in Nigeria. Nevertheless, if your store is based on AliDropship solutions (go back to #3), you can still accept online payments and turn them into cash! AliDropship supports not only PayPal, but a lot of other reliable and secure payment gateways. 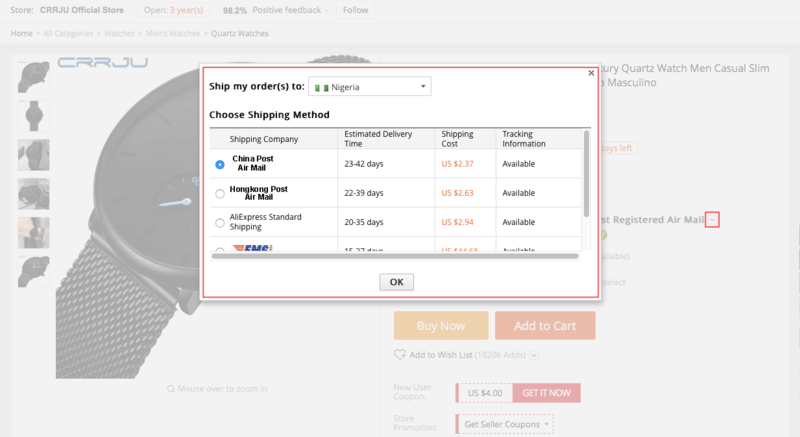 So, you can easily integrate the most suitable ones into your drop shipping store. If your store is based on the original AliDropship plugin, you can choose any payment provider from this list. If you’re working with WooCommerce and your store is built on AliDropship Woo Plugin, you can choose any of these payment options. As you can see, there are lots of alternative providers that you can choose from. All of them are safe, trustworthy, and functional, so you can go with any option that is convenient for you and your customers. Now, you see that there is nothing difficult about managing drop shipping in Nigeria. There are some regional aspects, of course, but you can successfully deal with them thanks to our smart solutions. I hope that you are now inspired to follow the lead of a successful Nigerian entrepreneur who makes over $9,000 every month! There are very limited options for payment gateway for Nigerian Dropshippers. We have just DusuPay and now Flutterwave. There are other big and reliable payment processors in Nigeria that Alidropship should partner with to provide more payment gateway options, there is PayStack and InterSwitch. If you are worried about payment systems, then try 2checkout, they support multiple cards. Though they are very strict, but once your account is approved you can receive payment from anywhere in the world. Nigerian Business PayPal can be incorporated and used to collect funds. You only need to verify it. Dear Olga. I am fascinated to order a custom store with Alidrop but am not comfortable with how to rcoup my payments. Currently, I work from Dubai but with bank details in my home country Uganda. Again am not sure whether PayPal is supported in both countries. Please, advise me accordingly before I can order my custom store. Thanks again! You don’t necessarily have to choose PayPal: there are lots of of alternative payment gateways that you can successfully use in your store. Check which of these payment providers work both in Nigeria and in the UAE, and pick them for your store. Nice article, Olga. However, i think you should partner with Paystack as well like the Oghosa suggested.. They are much bigger and better than the aforementioned. I am interested in drop-shipping to Nigeria. Though , I am not based in Nigeria but if you can help with efficient payment platform and enhanced delivery time. I am in and ready to start with you immediately. Dear Olga. Is there any shipper who can shorten delivery time to a maximum of 8/10 days? This will really help. 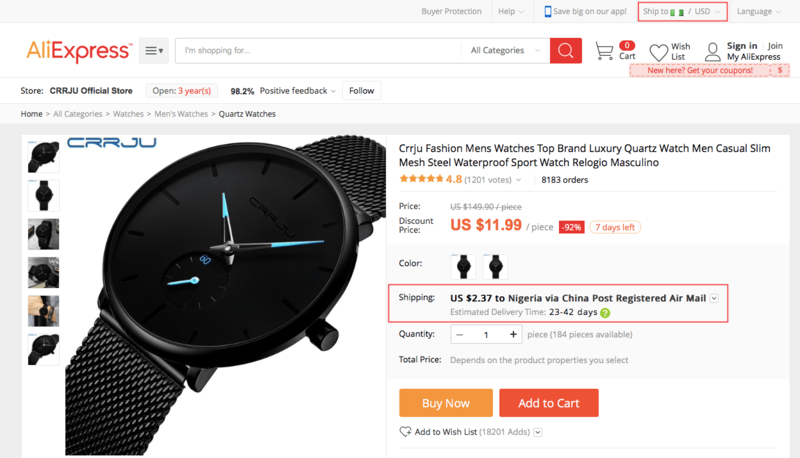 The two major problems of dropshipping in Nigeria are highlighted. Payment gateway and shipping time. For shipping time, what I can say categorically as one only way we can get rid of that part is to get a niche that would keep people yearning for, regardless of time of wait. These may be products that carries prices that are off the hook, cheap and not found anywhere around. Niche combing is very taskful but once you get it, you soar. As for payment gateway, flutterwave seem to be of help but their charges are on the high. Paystack would work if integrated. All you need is get your company registered! Otherwise, no one makes payments to your account! So what’s there to work on is get a CAC registered business details and you are good to go unlimited.